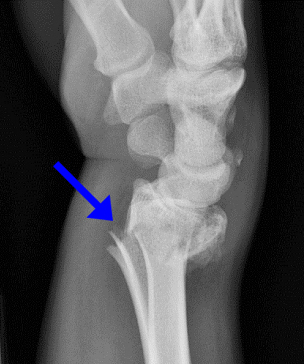 Displaced Colles fractures require urgent reduction. Associated subtle skin wounds may actually represent open fractures. Examine median nerve function before and after reductions.